“Parody” under the EU law – the opinion of the attorney general in the case Johan Deckmyn, Vrijheidsfonds VZW vrs. Helena Vandersteen, Christiane Vandersteen, Liliana Vandersteen, Isabelle Vandersteen, Rita Dupont, Amoras II CVOH, WPG Uitgevers België. On the 22 of May 2014 was published the opinion of the Attorney general P. CRUZ VILLALÓ in connection with case C-201/13 Johan Deckmyn, Vrijheidsfonds VZW vrs. Helena Vandersteen, Christiane Vandersteen, Liliana Vandersteen, Isabelle Vandersteen, Rita Dupont, Amoras II CVOH, WPG Uitgevers België. The request for a preliminary ruling concerns Interpretation of Articles (2)(a) and 5(3)(k) of Directive 2001/29/EC of the European Parliament and of the Council of 22 May 2001 on the harmonization of certain aspects of copyright and related rights in the information society (OJ 2001 L 167, p. 10) and of Articles 11, 13 and 17 of the Charter of Fundamental Rights of the European Union (OJ 2000 C 364, p. 1) – Reproduction right – Exceptions and limitations – Interpretation of the concept of ‘parody’ – Independent concept of European Union law. 1. Is the concept of ‘parody’ an independent concept in European Union law? 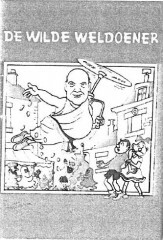 The dispute arises when a Belgium party publishes and distributes a calendar for aChristmas reception on the 9th of December 2011. 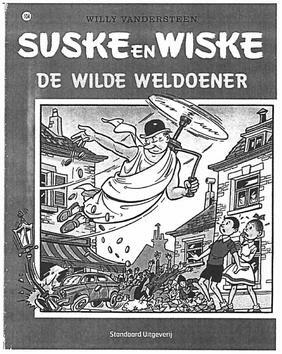 The front page of the calendar consist of a parody of a popular comics from 1961 Spike and Suzy – “De Wilde Weldoener”. 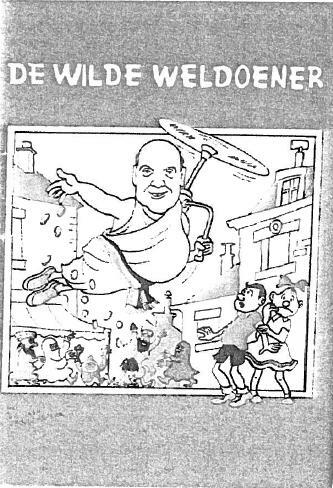 On the picture instead of one of the comics heroes is shown the mayor of Ghent trawling money to a crowd of colored skin people, some dressed with scarfs. The political meaning of the image is that the mayor is trowing money to the immigrants. The publisher of the original comics claims that this is unfair, infringing use. The publishers state that the publication goes beyond fair use. Also they claim that the author has explicitly expressed in his will that he did not want his work to be used for political purposes. 1) The concept of parody, contained in art. 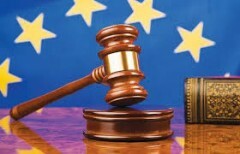 5, paragraph 3, letter k) from Directive 2001/29/ЕО is an autonomous concept of the EU law. 2) “Parody” within the meaning of Article 5, paragraph 3, letter k) of Directive 2001/29/EC is the product with the intention of ridiculing that combines elements of clearly recognizable, previous work with elements that are sufficiently original so that no question will logically be confused with the original work. 3) The interpretation of the concept of parody, of the civil court must be based on the fundamental rights enshrined in the Charter of Fundamental Rights of the European Union by making the weighting between these rights when the circumstances of the case require.